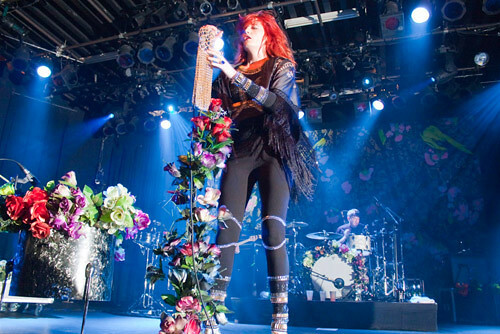 I am so inspired by Florence Welch's music and her amazing sense of style. It's vintage, it's fantasy, it's eccentric, it's Pre-Raphaelite meets bohemian goddess... in short, simply amazing and wonderful! I love her!! she is freaki´n beautiful. I loved this post! 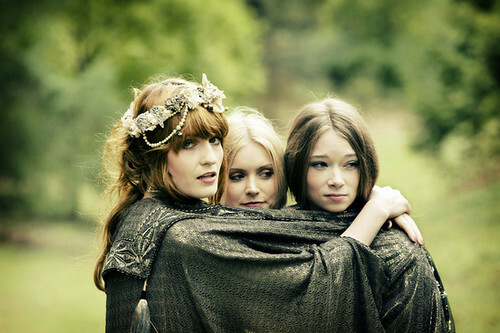 images are really inspiring and I found it interesting that you showed this singer! I'm following you, I visit? Love her! Good description and great photo choices. What are your fave tunes? Fabulously epherial! Love your blog! I'm your newest follower! Like the way of your writing. Our online shopping destination allows you to find fabulous festive sale online, Women Fashion Clothing, Baby Baniya's new collection of bags and Jewellery, Autumn/Winter fashion show in Delhi India. Thanks for your informative post we will be following your blog more closely in future. i adore this shooting, sooo much!!! I love her style also, the pre raphalite is my favourite art movement. Oh I love her and her gorgeous unique style. Just beautiful! Very nice I like the concept rock star concept you did a great job!